Have you ever wondered how effecient your organization would be, if “A touch on Smartphone” can fulfill most of the requirements. 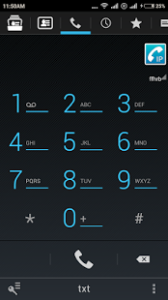 Dial & Recieve calls at Smartphone. 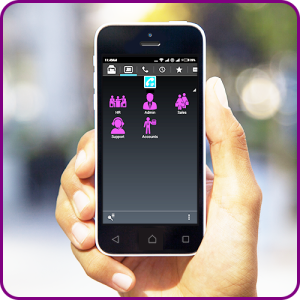 Turn your smartphone into a fully-featured VoIP PBX softphone with the Softphone app. You’ll be able to make and receive calls over your wi-fi connection, through your system. Outbound calls will use your business Caller ID, not your personal number, and all of the great features of IPPBX business telephone systems are included with every call – including call recording, direct extension dialing, and much more. 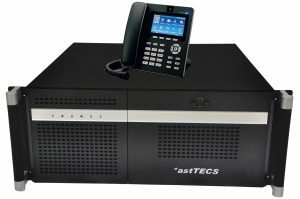 The *astTECS Mobile App based IP-PBX system is a powerful productivity tools. 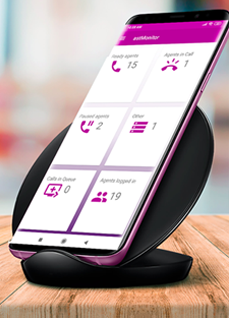 A smart alternative to traditional wired deskphones, the Mobile App helps employees make calls to any extension from their mobile device and keep the internal communication going without a desk phone, while significant communication costs. To connect seamlessly and collaborate with various departments, the mobile app is fully integrated with company’s directory, reducing costs on devices, while allowing users with access to easy and convenient integrated communication—anytime, anywhere. 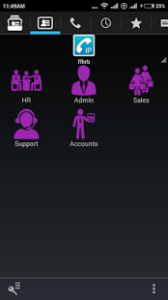 The Mobile App can be easily customized to reflect enterprises unique brand and identity. *ast e50 – up to 50 subscribers. *ast e100 – up to 100 subscribers. *ast e200 – up to 200 subscribers. *astTECS offering free Mobile app with its IP PBX system for better customer engagement. V Logger – Voice logger, a digital multi-channel voice logging, call monitoring and recording software. Receptionist Console – providing a user interface for receptionists to take and direct call. Calls in queue, pick which calls to answer. Active Calls Show the list of active calls and engaged extensions. 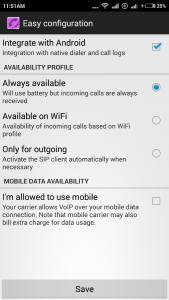 Availability, IP Phone/soft phone status like off-hook, on-hook, ringing. Drag and Drop call transfer. Caller Experience – Let the caller hear the phone ring instead of listening to music on hold. Ringing Options – Ring All, Round Robin, Fewest Calls, Least Recently Called, Random, and In Order. Extension Dialing – Allow the callers to dial an extension at any time. 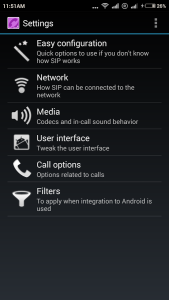 Call Transfer – you can easily transfer incoming calls or active calls to another extension. Set the transfer rules for incoming calls so you can check the call first, then transfer, transfer without checking, or send the call straight to voicemail. Call Pick up – You can set up Call Pickup groups so some employees can pick up calls ringing on other extensions by dialing a short code on their own phones. You determine who has this permission and which calls they can pick up. Hold – Put a call on Hold using the button on your IP phone, or from the Switchboard. You can customize the Music on Hold that plays until you resume the call. Call Parking – Put a call on Hold using the button on your IP phone, or from the Switchboard. You can customize the Music on Hold that plays until you resume the call. Voice mail to email or to any email client. Distributed Office setup Connects Multiple Offices through MPLS or VPN. Branch offices can be added to the IP server through an INTERNET connection. Paging/PAS Dial a code to connect to a separate overhead paging and announcement system. Multi Trunking Connect with PRI ISDN E1, T1. Call Routing Location Based routing. Barge IN & Listen Barge in: Barge in on both channels. The manager channel is joined onto the spied-on and bridged channel, and all parties can hear each other. Listen: Monitor an agents call/ Extensions. The manager can hear both the spied-on and bridged channels, but they cannot hear the manager. Third party Integration Connects any 3 party Integration Like,CRM. Multi Phones Connectivity Connect with different Phones Like:IP PHONE. Codecs: ADPCM, G.711(A-Law & u-Law) G.722, G.723.1 (pass through),G.726, G.729(through purchase of a commercial license), GSM,iLBC, Linear,LPC-10 Speex. Customer Delight & Increase in Business. Or soon you will be Outdated. Mobile App is “A Centralized System” offering all your Services. A Centralized data flow control will Reduce the running cost involved, & Increase the overall effeciancy multifold. Customer with App in their smartphones, & delightful experience would be the live testimonials for your business. Better utilization of available resources. Reduces the timegap between the desire for requirement and fullfilment of requirement. Keep your guests updated with your latest business information by providing your “Mobile App” to them; & let them perform the business transaction whenever they want to, & from anywhere.